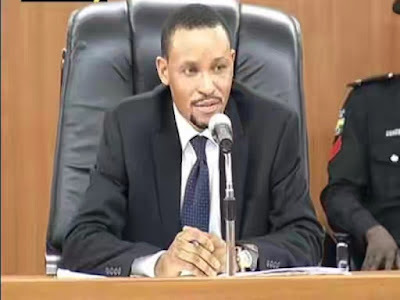 Chairman of the Code of Conduct Tribunal, CCT, Danladi Umar, Thursday threatened to commit reporters of ThisDay, Guardian and Pilot Newspapers to prison, alleging misrepresentation and concoction of proceedings. He also warned to imprison any journalist (s) or medium so found wanting in the circumstance of this allegation. 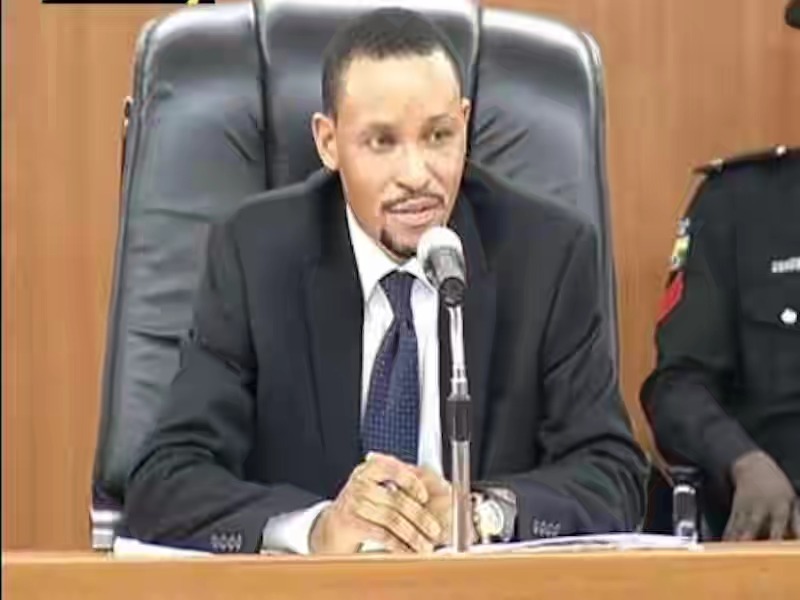 Umar stated that he had arranged for the reporters of ThisDay, Guardian and Pilot Newspapers to be picked up and hauled into prison but had a rethink. Umar accused reporters of the aforestated papers of reporting the proceedings of Monday, March 18, out of context, reporting, “Onnoghen accuses FG of tampering with asset declaration form”. He, therefore, accused the reporters of concocting and misrepresenting the facts of what transpired on the day under review. I will understand if it was just one news agency but seeing three news company reporting same thing speaks volume of the authenticity of their reportage. Could three news platform report falsely? Teejay let me tell you what happens, sometimes they leave jst one person, and go about their daily activities, scouting for news. At the close of the day they copy from one source, that colleague they left in the court. So most times they do copy copy and jst change the wordings so it won’t look exactly thesame. That is how lazy journalists of today are. I know because i was in court that day, and the journalists of the above named papers were not there, jst one of their colleagues. So u c if they do copy copy then dey r bound to copy jst wat that person wrote. This guy is my crush Sha... He is so handsome..This one na potential sugar daddy 😍😍 ANG please keep off my comments,I'm a Pharisee and yes I like myself like that. And misrepresentation of facts has been carefully pushed into our consciousness by deliberate media platforms at the behest of some nefarious human beings. Sometimes, the headlines will be misleading, and the main fact would now be sandwiched in just few lines between. The sad part is that some lazy reader, majority of whom are youths won’t think twice but follow the headlines blindly, whereas the main fact is just few lines between. Please what are the requirements to occupy such positions and offices in this country? I hear of certain positions and I expect to see advanced bureaucrats only to be seeing young men and women. The other day it was a 40yrs old deputy director in CBN! From what I've learnt about the civil service, a deputy director is a grade level 16 officer. I am truly interested in knowing the magic these people apply to occupy these positions. Who knows? It could be black magic lolz. Mama Mia, if you started early in life, you can get there very early. I joined civil service at the age of 25. I’m a lawyer with BL, so i got in on level 9, got my promotion in 2018, now i am 30 at level 10. So go figure. Dont forget for civil service it’s 3years on each rank.so i dnt think i would be upto 40 before i get to that level 16. And dont forget there is no level 11, now from level 10, after 3 yrs i would be on 12, and i am in my 2nd year on 10 meanwhile i jst clocked 30. And some people will come and be saying it’s black magic, No it is not. These days there are kids that finish University and even masters at 21, and some get work immediately thereafter. Before you know it they rise at a tender age. And it would suprise you to know that he is not as young as you think. Don’t forget he is a northerner, a fulani man. They are never fat, so age hardly shows on them.